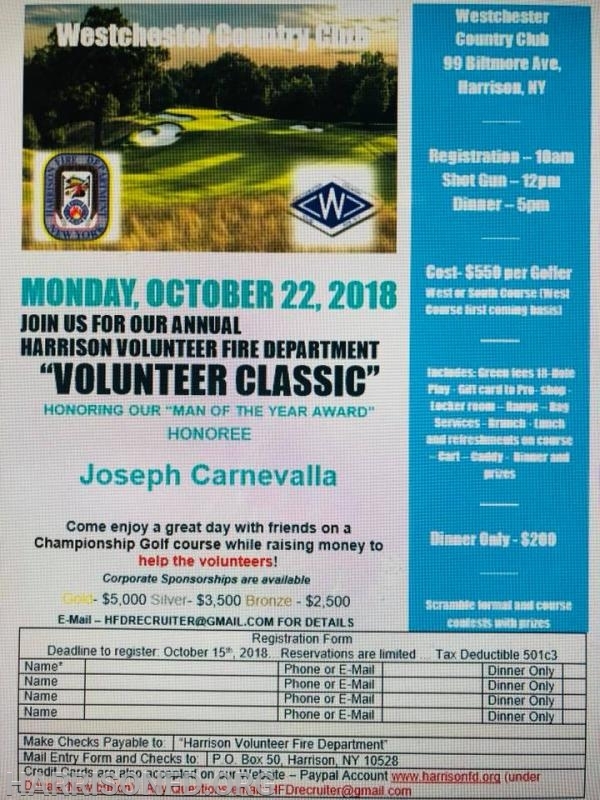 On October 22, 2018, the Harrison Volunteer Fire Department is hosting the Second Annual "Volunteer Classic Golf Outing" at the Westchester Country Club. This year the Department is proud to announce that we have chosen Joseph Carnevalle as our "Man of the Year". We will be honoring Joseph for all his contributions to our Department at the dinner following golf. If your interested in participating or donating, please see the attached flyer and documents for information.